The program will address current issues in Breast Cancer including medical oncology, surgery, radiation oncology and supportive care. Thank you to all the participants, speakers and supporters for joining us at the Melbourne International Joint Breast Congress. You helped make the congress a success. Watch the MIBC video for congress highlights. 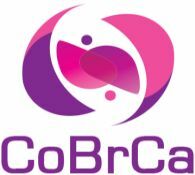 CoBrCa is a comprehensive congress addressing controversial issues in breast cancer and related topics. Through presentations, debates and discussions, it aims to be the leading forum for opinion leaders, clinicians and the industry to reach the best clinical recommendations for therapeutic dilemmas. • Addresses the most controversial issues facing clinicians in their daily practice. • Chance to network with academics & clinicians from around the world. • Ample time after each session for speaker-audience discussion.